A real breakfast belly filler here. This is a great start to the day, maybe not the very best, but somewhere close! This is a bowl designed especially for those who have a busy/active time ahead. Maybe your a sheep farmer, or a trapeze artist, whatever your activity of choice, this bircher will give you full power! The sprouting bircher gives slow release energy that will keep you ticking over well beyond lunch, in fact, we find it lasts us until dinnertime! It’s a beast! You will need to get sprouting here, or buy some in. The former is more enjoyable and much cheaper than the later. It would be a shame to exclude them. 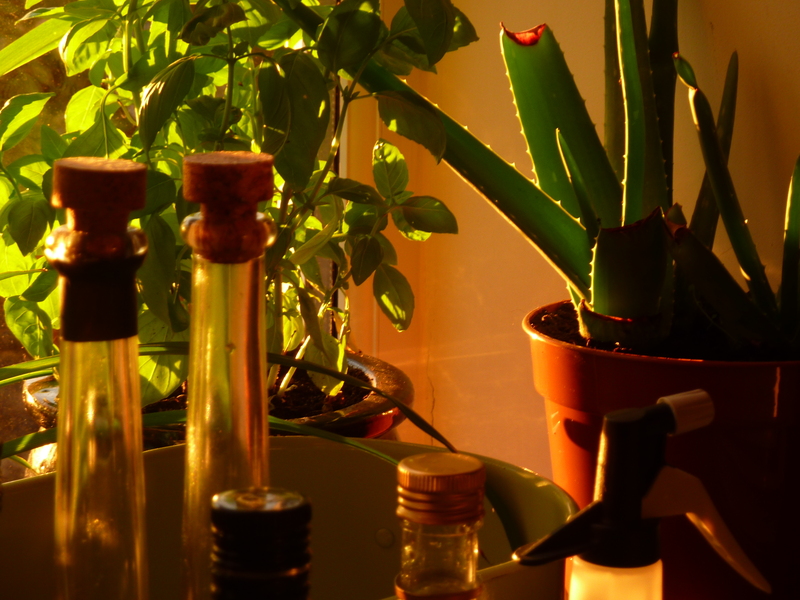 We are keen to get the world sprouting, we’d love to see windowsills full of mungs! Once you begin to sprout, you just cannot stop. We used sprouting buckwheat and wheat grains (called wheat berries in the States), both can be bought easily in most shops in the UK in a pre-sprouted state. They will definitely have them in your local health food shop. Sprouting is great value and nutrition, the grains/pulses really bulk out and you get a good amount of sprouts from just a hand full of dried little things. Wheat grains make for brilliant sprouts, they are quick and abundant and have a nice sweet taste. Wheat grains are basically unprocessed wheat, Ideal if you are craving some bread or biscuits but want to stay super healthy (incidentally, these sprouts make a great loaf I’m told) . We had this breakfast before a long walk in the hills and it was the perfect fuel to scale some craggy rocks and filthy bogs. 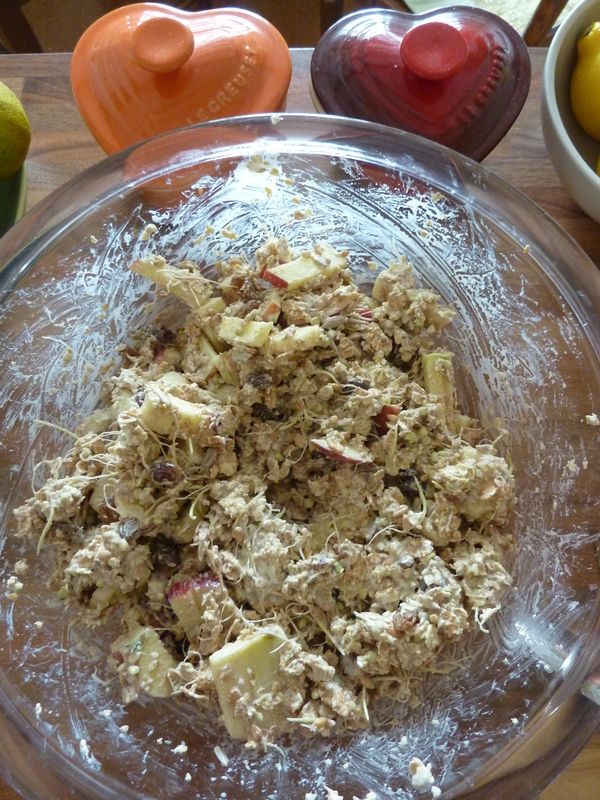 Birchers are a real favourite of mine, basically a bowl of muesli, with yoghurt, given one big stir. Makes a change, a bit of a mash up. The seeds and fruit can be played with here, whatever you have in the bowl and fridge really. We like to used flax seeds because they are great for the digestive system and sunflower seeds because the have amazing health properties and flavour. This recipe uses organic rolled oats, but you could use oat groats if you were eating raw. 1 cup of organic rolled oats (or oat groats), 1 banana (chopped), 1 apple (chopped, organic is definitely best here), 1/2 cup nuts (we use hazelnuts or almonds), 1/2 cup raisins, 1/4 cup sunflower seeds, 2 tbs golden flax seeds, 1/2 cup buckwheat sprouts, 1/2 cup wheat grain sprouts, 1 cup yoghurt (we use soya, whatever you prefer), 1 teas cinnamon. 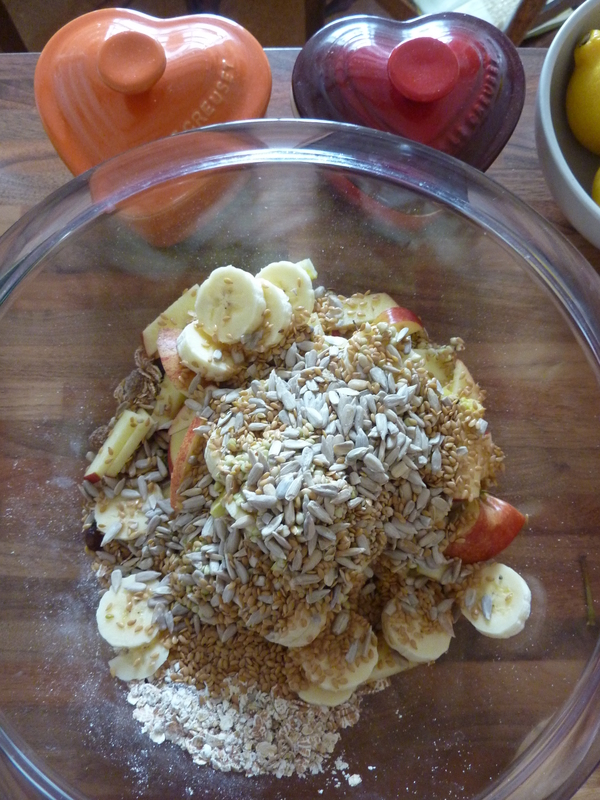 Get out a nice big bowl, add all ingredients in no particular order and give it all a good and gentle stir. It should be well mixed when served. 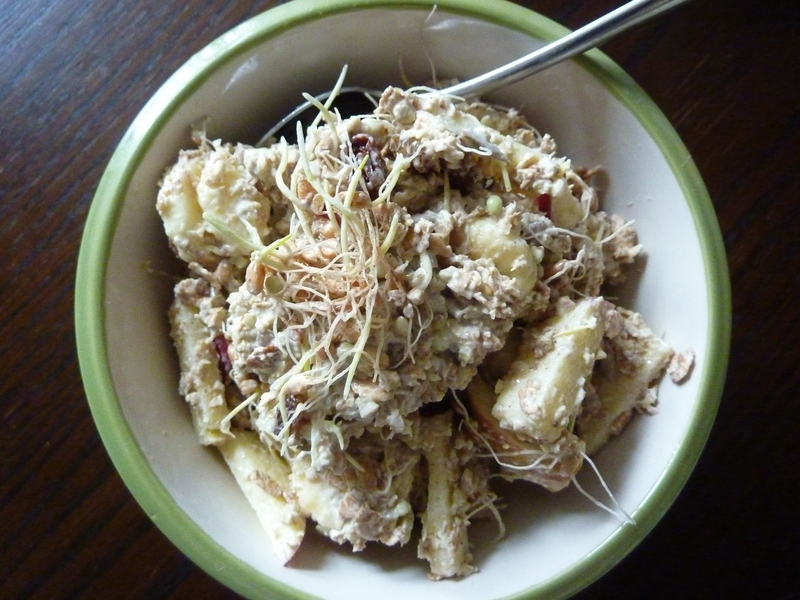 Bircher post-mix, check out those funky sprouts! As quick as you can, in spacious bowls, it does not keep so well. Sweeties may like a little compote or honey on top of their bircher, but we think it is sweet enough. This is a bowl of goodness that really sticks to the ribs and is packed with good energy and nutrients. It deserves to be fully fledged member of the ‘best way to start the day’ gang. A serving of sprouted wheat grains contains your daily requirement of Manganese, which keeps your brain, metabolism and nerves in check. Good to know!